The video card has its own supply of RAMthat it uses in processing information. The greater the size, the faster the rendering performance. However, integrated graphics laptops do not have their own memory, they work by computer. Buy extra bar of RAM, if your video card integrated into the motherboard of a computer. Thus find out the exact model of the laptop and better yet, the marking of the motherboard. It is best to look at the hardware configuration on the Internet by typing in the search engine the name of the model. Also find out whether there is a connector to install an additional memory module. All this is necessary in order to find out what RAM is compatible with your device and if it supports the installation of additional equipment. Shut down the computer, unplug it from the power source. Turn the laptop. Remove all the existing fasteners of the top cover, gently remove it. Sometimes the back cover of the computer has a few caps, if you are not sure which one is the memory, it is best to remove them all completely. Find the compartment in which is located the RAM. Gently insert the new card and secure it. Refit the lid, screwing it with screws to the housing. Turn on the laptop. Note the download speed. Next, open the "start menu" and on the "My computer" click with the right mouse button. Select "Properties". View in the window, increased the size of RAM. If you have a laptop and the computer with integrated video card operate similarly. 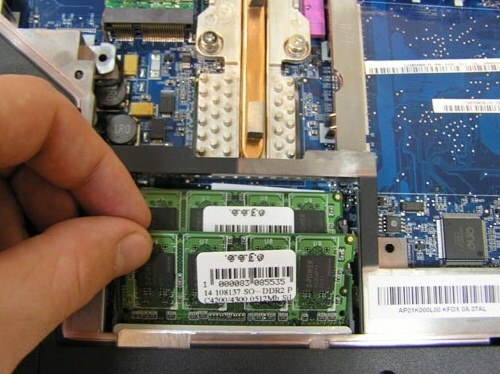 However, the motherboard in normal computers most of them support the installation of an external adapter, find out exactly the possibility of its connection and find out what graphics card will be compatible with your motherboard. This also applies to laptops, but really very few models that supports the ability to connect an external additional video card. If your computer or laptop has a removable graphics card, RAM which is not enough to perform the desired functions, replace it with a new one with better characteristics. Read the warranty before you disassemble the laptop. Buy laptops with external graphics cards or with the possibility of connection thereof.